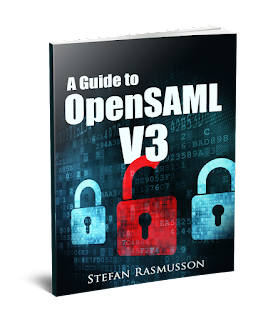 SAML Security: OpenSAML book release! The book has three parts, the first of which introduces SAML, SAML Web Browser Profile and OpenSAML. The next part goes deeper into explaining the Web Browser Profile more in detail and shows an example on how to implement it using OpenSAML. The last part explains and shows examples on how to use some of the security functions in OpenSAML, like signatures and encryption. Hello, I purchased your book and am attempting to hook up an identity provider with my existing service provider. Do you know if there is any reason why the identity provider would not work with my service provider assuming it is configured correctly?